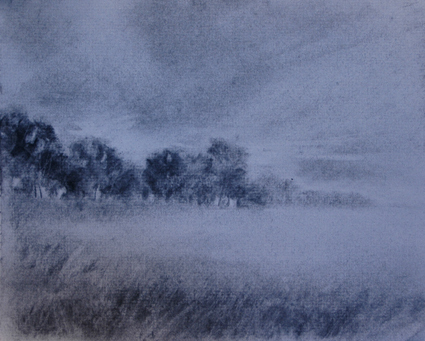 Often landscape painters don’t think drawing is important. I am always amazed in my workshops and classes at the number of students who do not regularly use a sketchbook or include drawing as part of their art making process. 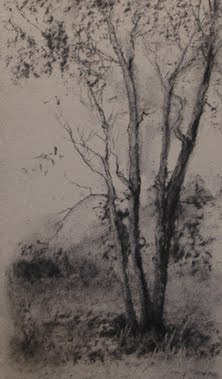 I was fortunate that the first artist I seriously studied with- Ned Jacob- is a fine draughtsman of figures, animals and the landscape. He is passionate about the importance of drawing. One of the most important things he said to me over the many years I studied with him was: Drawing will set you free. He never really explained what that meant, but over time I figured it out. So, now I am telling you: Drawing will set you free. OK, that may sound like hyperbole, but it’s true. And, it’s true for several different reasons. Here they are. First, drawing encourages observation- not casual looking, but concentrated, analytical observation. It slows you down. Its economy of means and materials allow for this to occur at almost any time and when time is short and effects fleeting. When drawing, we are more likely to zero in on the one thing that first caught our notice, and less likely to try to capture everything out there (which often happens when painting). Drawing, particularly mass drawing, is a bridge to painting- forcing us to focus on shape and value, without having to tackle color. Drawing, specifically, thumbnail sketches, can be an enormous aid to not only learning to compose but to trying out different compositional solutions before investing lots of time and painting materials in a bad one. 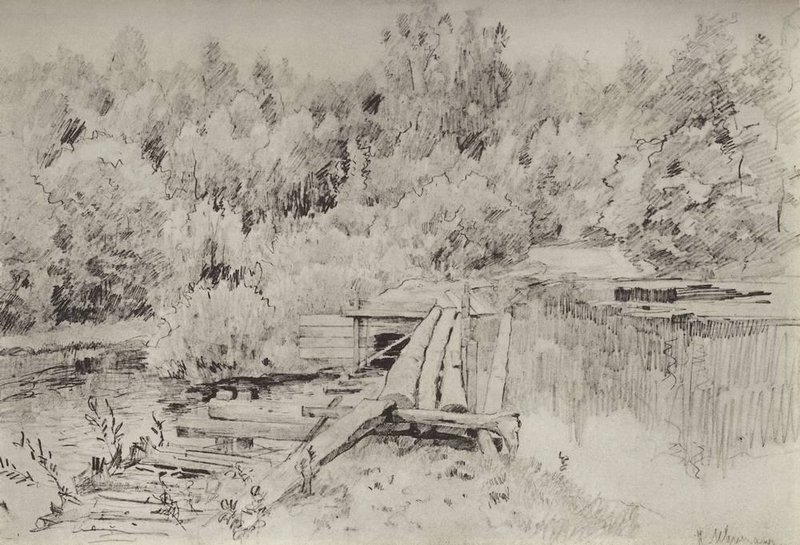 Drawing encourages intimate understanding of the structure of objects in the landscape as well as their surface appearance. This knowledge will inform your efforts and make your work more authentic. 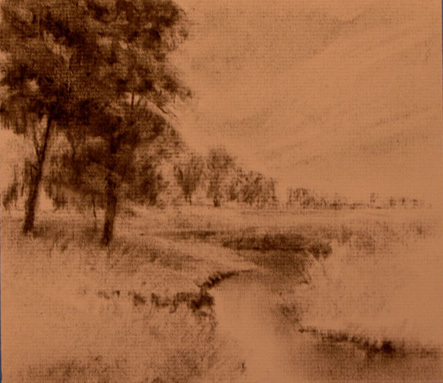 But, perhaps the most important reason is that you cannot ever become a good landscape painter without being able to edit the raw material nature provides. If you are dependent on either what’s in front of you or a photographic reference, your options are always limited. Editing means not only leaving things out, but moving them around, redesigning how they are shaped, in what part of the picture plane they are found, moving the viewer’s location, adding elements that support your visual idea but are not actually in the scene before you, and painting from memory and imagination. Drawing can give you the skills to do those things- the freedom to take the raw material nature provides and design works of art. And, a long the way, you find that drawing itself is a great pleasure. Drawing sets you free. P.S. 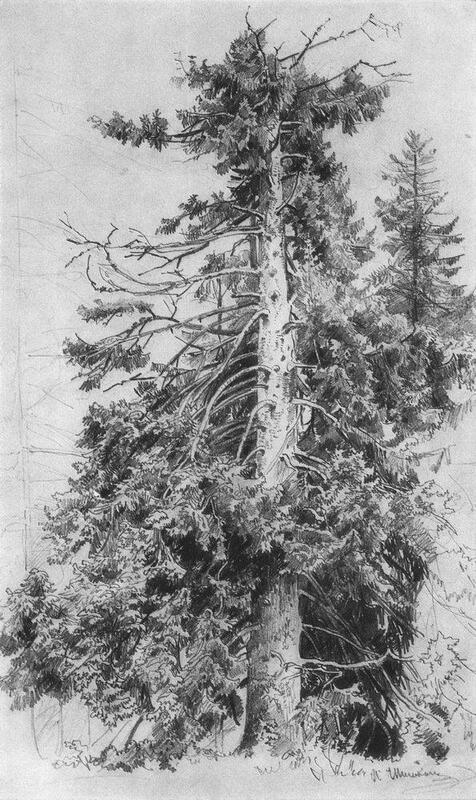 Our six week online class Drawing the Landscape is designed to introduce students to methods, materials, concepts (like linear perspective and comparative measurement), and strategies for successfully completing drawings from Nature both for their own sake and as invaluable reference for painting, reducing dependency on photography. There will be some art history thrown in to demonstrate the long and glorious tradition of drawing from Nature and some video demos to supplement the thorough written materials, illustrations and examples. Join us! Next Next post: Let it Snow!